The most famous Civil War treasure and one of Georgia’s greatest mysteries are that of hundreds of thousands of dollars of the Confederate treasury that went missing right at the very end of the Civil War. 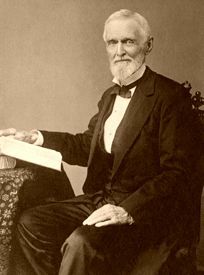 Confederate President Jefferson Davis was attending church on Sunday, April 2, 1865, when he learned that Lee’s defensive line at Petersburg, Virginia had been broken and the fall of the Confederate capitol at Richmond was imminent. Davis quickly advised his cabinet that Richmond was to be evacuated and that they would take the Confederate treasury with them. The men and the treasury were scheduled to depart on two trains on the only line still open between Richmond and Danville, Virginia. That evening the first train with the cabinet members departed Richmond. Shortly after midnight the second train, which carried the hard currency reserves of the Confederate States of America, left. It was under the command of Navy Captain William H. Parker who had gathered all the remaining available personnel to provide a military guard. Amongst the official records of the Confederacy were numerous of crates and barrels which contained gold and silver coins, bullion, silver bricks, and a substantial amount of fine jewelry donated by women across the South. In addition, there was more than $450,000 in gold from Richmond bank reserves, taken to keep it from falling into the hands of the Union. Although the news was bleak, it was the hope of all on board that the struggle of the South could be continued. When the tracks ended at Danville, Davis and his staff began to travel south on horseback. Captain Parker ordered the treasure moved to wagons which would transport it to the old U.S. Mint at Charlotte, North Carolina. However, when Parker received word that the U.S. Cavalry was already in the immediate area, he zigzagged across the South Carolina–Georgia state line several times to evade capture. 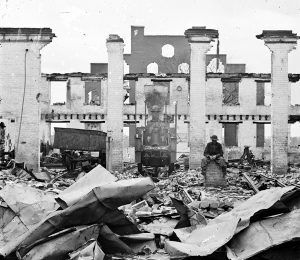 In the meantime, Richmond lay in ashes as occupying Federal troops took control and over the next several weeks, General Robert E. Lee would surrender and President Abraham Lincoln would be assassinated. Captain Parker was to camp outside Washington, Georgia, where he was to meet with Jefferson Davis and receive further instructions. Upon their meeting, the Richmond bank reserves were placed in a bank vault in Washington, Georgia. Most of the Confederate assets had been dispersed to pay soldiers and travel expenses along the way. If there was any remaining, its outcome remains unknown. Only days later the Richmond reserves, amounting to some $450,000 were in the hands of occupying Northern troops who set out to take the money to a railhead in South Carolina. Along the way, the Union soldiers camped near Chennault Crossroads and it was here that on May 24, 1865, bushwhackers attacked the wagons and some $250,000 was lost. The bandits were stragglers from both the Federal and Confederate armies who had heard of the treasure being transported. Bank officials eventually recovered some $111,000 of the stolen money. Union General Edward A. Wild led a search of the area for more gold and earned notoriety for the arrest and torture of the Chennault family, who Wild believed were hiding gold. When Jefferson Davis was finally captured by members of the Fourth Michigan Calvary near Irwinville in south Georgia on May 10, 1865, he had only a few dollars in his possession. The fabled riches of the vast “Confederate Treasure” were not to be found. 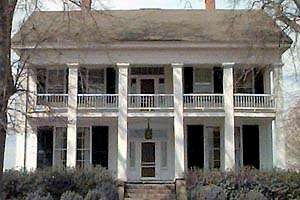 Though it would seem that the robbers would have made off with their stolen caches, tales of Confederate gold buried in Wilkes County have persisted since the end of the war. Through the years, rumor has it that many gold coins have been found along the dirt roads near the Chennault Plantation, located at the crossroads of GA 44 and GA 79.